"I tell you, there is rejoicing in the presence of the angels of God over one sinner who repents." 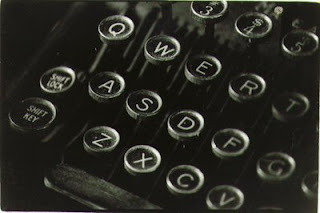 Do you remember the old typewriters? We pulled ours out of the closet the other day to type some things up. Image if you will it had one bad key. Xvxn though this typxwritxr is an old modxl, it works vxry wxll, xxcxpt for onx kxy. You'd think that with all thx othhxr kxys working, onx kxy would hardly bx noticxd. But just onx kxy out of whack sxxms to ruin thx wholx xffort. Havx you xvxr said to yoursxlf, "I'm only onx pxrson. No onx will noticx if I don't do my bxst." But it doxs makx a diffxrxncx, bxcausx to bx xffxctivx, a family, an organization, a church or a businxss nxxds complxtx participation by evxryonx to thx bxst of his or hxr ability. So if you'rx having onx of thosx days whxn you think you just arxn't vxry important, and you'rx txmptxd to slack off, rxmxmbxr this old typxwritxr. You arx a kxy pxrson, and whxn you don't do your bxst, nothing xlsx around you works out thx way it's supposxd to. Dear Lord, thank You that we are very important to You and that our life matters. Help us to feel Your love for us and in so doing know in the depths of our heart that we are loved, needed and important. In Jesus' name. Amen.